Taking advantage of the right technology is crucial to optimizing your customer experience. Response times are critical for consumers across all industries as they constantly look for instant answers. Setting the bar for speed and accuracy changes every day, and what’s good today is not good enough tomorrow. Consider Wi-Fi: a couple of years ago, travellers were given Wi-Fi in the airport; now they complain if there’s no Wi-Fi on the plane. As far as consumers are concerned, access to superfast broadband is now considered a human right! However, with the average load time for travel sites taking 5.7 seconds, speed, accuracy and relevance are all crucial to driving conversions and accelerating success. It’s been proven that there is a direct correlation between speed and conversion rates. A few seconds’ delay is enough to create a frustrating user experience that leads to site abandonment. Consumers also want the information they receive to be filtered in a way that specifically makes sense for them. According to a survey from Think with Google and Ipsos MediaCT, 57 percent of leisure travellers and 64 percent of business travellers always start their travel booking and shopping process with search. However, when doing so, travellers looking for a flight or hotel are often presented with hundreds, if not thousands, of options, which can shift dramatically hour by hour. 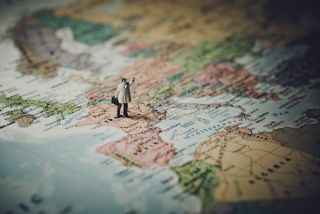 It’s understandable why the process can be somewhat daunting for many customers in the search phase of the travel journey, often leading to lost transactions. With repeated speed delays, consumers will give up unless they’re extremely committed to completing the task. Optimizing speed is therefore vital for operating in the online space and this is no different for the almost $8 trillion global travel and tourism industry and its online travel agencies (OTAs) who need to engage with today’s digital consumer. Speed is even more fundamental in the mobile channel, but with texting, instant messaging, email, phone calls and website searches—sometimes going on all at once—the window to capture the attention of digital customers is preciously narrow. Though choice is king, relevant search results are more important. Especially on a mobile screen where there is so much less real estate. Customers will only look at say 3-4 options versus 10 they look at on a web browser. Moreover, the mobile channel is becoming increasingly important within the travel industry. A Travelport forecast predicts that within three years, 70% of travel transactions will originate on our platform through mobile devices. Travelers are more comfortable adopting self-service and mobile technologies, so it’s no surprise that mobile will account for the majority of global online travel sales in the future. The online environment adds layers of difficulty to getting to know individual shopping habits. Consumers bounce across multiple sites, sources, and search engines, making it difficult to entice the customer to share the type of information that helps narrow down the search and convert searches into bookings. Content personalization, automation, artificial intelligence and machine learning technologies along with mobility and the cloud are all bringing the online travel industry closer to that ideal state. Enabling tailored, accurate and relevant offers and information to be delivered fast. Getting to this ideal search result state is critical. As faster search reduces one element of the friction that stands in the way of engagement, increased accuracy and relevance of the results returned are also key to driving improved conversion for the business. The conversion opportunity in the travel industry is huge, particularly among mobile users. Air travel growth is up in recent years, and most consumers now carry smartphones, especially while they travel — seemingly searching for flights 24/7. The criticality of catering to mobile users is also evidenced by how Google began ranking websites based on mobile friendliness in 2016. Configuring search-engine APIs to conform to mobile users. Delivering the right information, quickly and at the right time, irrespective of the devices consumers use. Utilising API’s optimized for mobile devices. Accelerating response times and only providing the necessary information, no more no less. Additionally, offering mobile-first technologies like RESTful/JSON, cloud edge-caching, and pagination. Delivering smaller message sizes to further improve the delivery speed over the Internet as well as the mobile-carrier networks used by consumers. And, allowing flexibility to tailor the payload of those messages. Utilising pagination to help make full use of the limited shelf space on a mobile screen to only display a few small, but relevant results at a time, with the best and most relevant content appearing first. Making full use of the typical “waiting” screen to capture the ever-fleeting attention of the customer and avoid abandonment through asynchronous search. Returning a few fast and convenient search results rather than a spinning clock while the full result set populates. Finally, configuring the search upfront through the use of personas and profiles that can then be leveraged dynamically through the API., leading to more relevant results and higher conversion rates. With many online travel agents already leveraging API’s, they are now setting their sights on other technologies to move that conversion needle. Machine learning and predictive analytics equally lend themselves well to the travel space. By eliminating waste in the search space through automation, filtering, and targeting results long before they are ever requested, machine learning helps defer unnecessary processing. Analysing real-time online behaviour alongside previous bookings will not only remove unlikely itinerary options (fares/routes) based on customer conversion experience, but empower OTA’s to understand, anticipate and act on these patterns to only return the results relevant to drive a truly personalized experience. Given all the searches that take place, its crucial you take advantage of the right technology to optimize your mobile experience. Moving the conversion needle even just 1% will have a huge impact on driving performance and revenue. Presenting on-target content per what customers want—and making sure it’s delivered fast will not only ensure they stick around, but enable OTA’s to create personalized journey experiences.